On Tuesday, the Republican candidates for president will meet yet again to shout at each other and insult the media in front of a live studio audience. In other words, it’s time for another Republican primary debate. Hopefully, this one will be a bit more professional than the last forum, a messy and chaotic affair that drew near-universal criticism from partisans of all stripes. The upcoming debate, like the last, will have a specific focus. 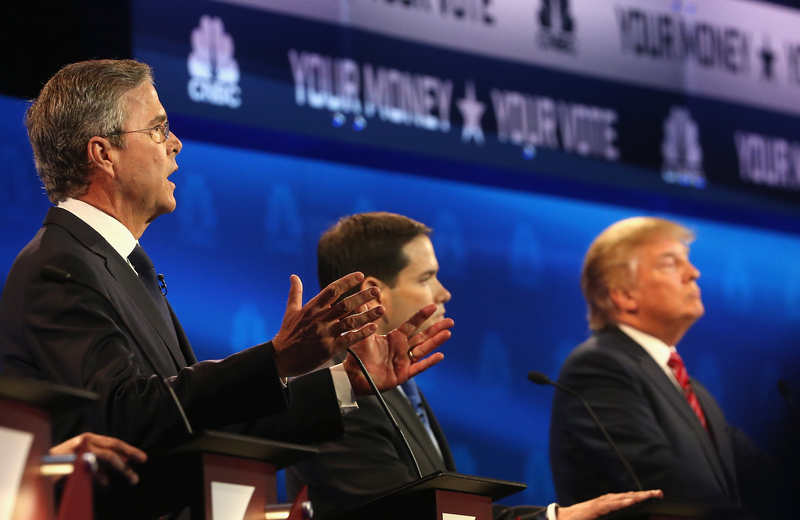 What will the fourth GOP debate be about, you ask? The focus this time will be the economy — not a huge surprise, considering it’s being hosted by Fox Business Channel. The economy was ostensibly the focus of the last GOP debate, which aired on rival business network CNBC, but FBN is most definitely not trying to emulate CNBC. The last debate did have plenty of questions about the debt ceiling, the deficit, and the candidates’ tax plans; however, it fell short of an enlightening conversation about policy and descended instead into an unintelligible barrage of confusion and yelling, largely due to the moderators' inability to, well, moderate. There was also a consensus among conservatives that the CNBC moderators, in addition to being disorganized, weren’t asking legitimate or substantive questions. This was an easily-debunked claim, though, as a transcript of the event shows that the moderators asked plenty of policy-based questions. What’s more likely, as Jamelle Bouie at Slate points out, is that the candidates simply don’t like being questioned about their economic plans, as such questioning highlights the fact that their plans overwhelmingly benefit the wealthiest Americans. It will be interesting to watch how FBN handles the debate. It’ll be even more interesting to see how conservatives respond if, as promised, it succeeds in being “the real debate about our economy.” Sure, it’s possible that moderators will hold a more orderly debate than the last one. But that won’t protect the candidates from having to answer honest, aggressive questioning about their economic policies, and if they're uncomfortable on the debate stage, it's because of those policies, not the moderators.